A major international NGO recently invited me to talk to senior staff about improving the quality and impact of their programme work. Here are my preliminary comments. They build on the analysis from this website, which includes links to examples and related initiatives (see recent blogs on the right-hand menu and other content on the left). What do you think – is this along the right lines? All comments very welcome. I’ve worked in the field of managing the quality and impact of NGOs’ work for 10 to 15 years, with agencies including the Gates Foundation, major NGOs and leading initiatives. I also set up and led a successful NGO, Mango, for 10 years. All agencies are wrestling with how best to improve quality and impact. A number of exciting approaches are emerging and some great practices are being trialled across the sector. But no major organisation has cracked it. The field is wide open for a dynamic and forward looking agency to bring best practice together into a coherent agenda and create a breakthrough in how NGOs manage the quality of their work. This could make a real difference to how assistance is delivered by the sector as a whole. ‘Improving quality and impact’ can be defined as maximising the value that an NGO adds to other people’s efforts to improve their lives and societies. The definition is based on deep roots around the idea of helping people help themselves. It has two major implications. Firstly, interventions have to be technically strong. They have to draw on the best current knowledge of how to tackle the issues, applying it imaginatively in different contexts. Secondly, successful, high quality interventions depend on collaboration with local people and other influential people such as government officers, private companies, religious organisations and civil society. For NGOs, collaboration links to the core issue of ‘empowerment’ – helping people gain more control over the factors that influence their lives. NGOs have to collaborate effectively with poor and marginalised people, helping them build up their confidence and ability to tackle issues that are important for them. The greatest opportunity to improve quality and impact lies in systematically improving collaboration. The management frameworks that NGOs tend to use typically do not encourage and reward collaboration. They can tend to focus attention internally and emphasise a supply-driven approach to development work. There is scope for a real breakthrough by creating a management framework that encourages an externally focussed, demand-led approach. This could revolutionise how NGOs help people help themselves. Feedback. NGOs can measure their performance using structured ways of hearing from local people and partners about (a) changes in outcomes they value, and (b) how well a specific NGO has contributed to those changes. There are great examples to build from of people-centred tools that combine a new level of accountability to local people with much improved accountability to donors and senior managers. Local views are not the only valid opinions about performance. But they can’t be ignored. This is the single most important priority for reform. Transparency. NGOs can improve collaboration by ensuring an appropriate standard of transparency is achieved at central and programme levels. This can be based on a presumption of disclosure about finances and results. At the central level, NGOs could adopt the new IATI standard, to build better collaboration and stronger public goods. They could also routinely publish performance summaries. At the programme level, standards for transparency can be set and then met using mechanisms appropriate for the local context. Dialogue. Building on the sector’s rich history of participation, NGOs can set standards for all their programmes about levels of dialogue with external stakeholders. Different methods will probably be useful in different contexts, ranging from participatory tools to annual review meetings to complaints mechanisms. The level of dialogue achieved can be assessed using feedback. Particular efforts are likely to be needed to work with the poorest and most excluded people, including women. Verification. Results and reports can be verified, so NGOs don’t risk having to rely on self-assessments of performance – any more than they would rely on unaudited financial reports. Peer-review may allow partially independent verification. Other approaches will be appropriate in different circumstances. Resource allocation. Resources could be allocated to different interventions on the basis of how much external stakeholders support them, as well as expected results and capacity to deliver. Programme staff will most likely need support implementing this new agenda. They will need clear explanations about what is expected from them. The agenda has to be communicated in simple, clear language. It may be possible to align it with other management priorities. Some space may need to be made by cutting back on other demands on field staff. Staff will also need simple, intuitive tools they can use to put the pillars into practice. Given how busy staff are, tools will need to be short and accessible, avoiding jargon and long instruction manuals. They will need to be flexible enough to be adapted to different contexts and easily translated into different languages. Staff will also need access to technical support to implement the pillars. There are huge stores of experience in the sector across all five pillars that could be made available to staff. This may need a particular focus on personal values, as the basis for successful collaboration. Finally, staff will continue to need access to cutting edge technical advice, relevant to their specific programmes, in areas such as health, education or social protection. Accountability begins at home. Advisory staff will need to work in the same context of ensuring their work is demand-led, avoiding the trap of supplying advice that they think field staff should want. This should complement and reinforce the wider agenda, helping drive change within the organisation. 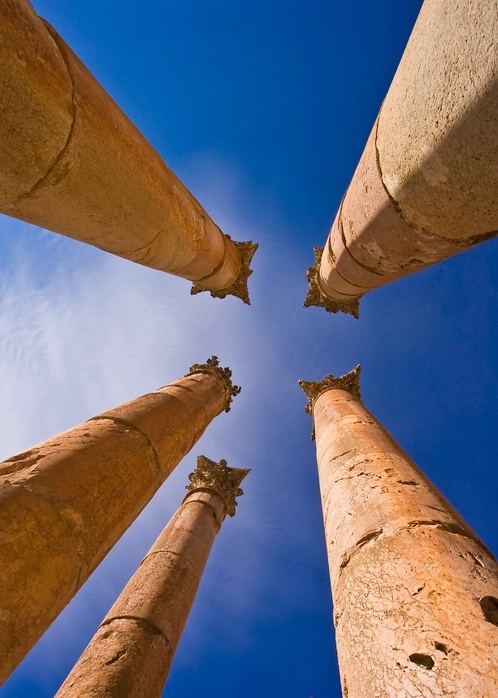 Taken together, the five pillars create a new, coherent agenda for transforming how NGOs manage the quality of their work. They build on best practice and leading initiatives from across the sector. They link management together with participation as well as technical quality, generating new levels of oversight and accountability. Collaboration is as important as technical expertise for maximising the value that NGOs add to other people’s efforts. I don’t believe it is too much to say that this agenda has the potential to create a breakthrough in the quality and impact of NGOs’ work. Your organisation could lead the way. I think these are really good ideas, but I don’t think you’ve addressed the major constraint to adopting this approach: donors. Many NGO staff would like to work in this way, but the reporting requirements to donors often hinder the level of collaboration and transparency you suggest. Often, the programme design is hindered by what a donor is willing to fund, which may or not align with what local partners want. Transparency and feedback can lead to improved quality and impact, but to do this requires NGOs to admit when things aren’t working – in other words, failure. In a ‘results-focused’ donor context, reporting that something didn’t go as planned can put NGOs’ funding at real risk. Until the donors that fund a majority of the programme work of NGOs are willing to accept or even encourage these ways of working, I believe NGOs will have to continue to manage the balancing act of how we can improve quality and impact, while facing the risks of admitting failure and the consequences for funding. Very good post… but there is a risk that people can still understand this as a need for control. NGOs management need to “let it go” (whilst keeping rigour in how they analyze reality). But more and more the opposite happens. NGOs tend to play it safe, and use tried, tested (and possibly “branded”) solutions which can guarantee acceptable outputs rather than taking the challenge of understanding what is really demanded by a situation, and taking the risk to respond to it as driven from the context. Rather than strive to create the perfect process that anyone will be able to follow, NGOs should recognize that development/relief is messy, and create capacity to respond to complexity. Accountability to the people might clash with accountability to organization management, and this is the number one challenge that NGO managers need to recognize and crack. very good post dear Alex, dreaming that you shall bring Plan in that direction.Excellent.